The Sacred Page: Reading Too Much Into Jesus' Miracles? Do you think the vast majority, if not all, of Jesus' acts (non-speech acts) were primarily symbolic meant to point to himself as Messiah, redeemer, what have you? Or at the very least, did the writers of the gospels tend to take all of the stories this way? My only thought, is what if the concept of "allusions" in the gospel is nothing more than speculation, and all Jesus was really trying to do was just feed hungry people to show his power and love. salvation. I think a) is the way that scholarship typically interprets it, while b) is the way the lay church typically interprets it. Heck maybe both are true, but I'd be curious to hear what you think?Here is what I would say. To answer this question from a historical perspective, I want to turn to Matthew 11:2-6, which I think is immensley helpful here. Here it seems clear that Jesus is combining the two passages to answer the question about his identity―and the answer is in the affirmative, i.e., yes, he is the Messiah. The historicity of Jesus’ answer is in fact accepted by a good number of scholars. As is well-known, in this saying Jesus conflates Isaiah 35 and 61, something that is mirrored in one very important fragment found among the Dead Sea Scrolls: 4Q521 (4QMessianicApocalypse). The fragment is worth citing here. It begins by clearly speaking of the coming “anointed one”, i.e, the “Messiah”: “[for the heav]ens and the earth will listen to his anointed one. . .” (4Q521 II 2:1). It goes on to state in lines 7–8: “7 For he will honour the pious upon the throne of an eternal kingdom, 8 freeing prisoners, giving sight to the blind, straightening out the twis[ted]” (4Q521 II 2:7–8).) Likewise, in lines 11–12 we read: “11 And the Lord will perform marvelous acts such as have not existed, just as he sa[id] 12 [for] he will heal the badly wounded and will make the dead live, he will proclaim good news to the poor. . .” (4Q521 II 2:11–12). The similarities with Jesus’ words are simply stunning. 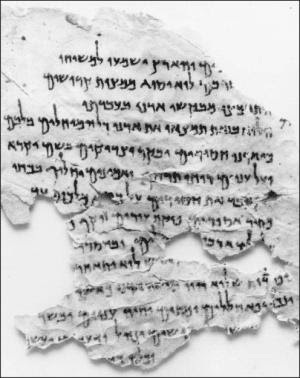 Strikingly, both the Qumran text and Jesus’ statement insert a statement about raising the dead prior to the reference to preaching to the poor. It would seem then that Jesus’ answer involved not an original use of the Old Testament, but rather alluded to a commonly conjoined set of passages from Isaiah which were associated with the Messiah and understood as describing the Messiah’s future activities. (3) the proofs provided for Jesus’ messiahship are not what we would expect from the early church. The implication here--which goes to the heart of the question asked by Alex--is that Jesus sees his miraculous actions as in general supporting his messianic mission. Thus I think it is safe to assume that even if Jesus worked a miracle simply out of compassion for someone, he clearly ALSO knew it would reinforce his larger eschatological claims. As for other symbolic acts--e.g., cleansing the temple--I think the sayings associated with them (e.g., Isa 56:7 in the temple action) make it clear that Jesus intends to convey an eschatological message in them. Now of course one could take a radically skeptical view and insist that the sayings have all been added by the evangelists. Why on earth one would insist on accepting the authenticity of the deeds but doubt the sayings is beyond me. In general, though, I think however a good case can be made for the authenticity of both, as I have explained here and especially here. So I think in general, yes, Jesus' miraculous acts and his symbolic deeds seem to point to his messianic mission. He certainly seemed to say so himself. Of course, that's not to say that we can over interpret a passage and possibly read too much into them in other ways! Excellent post Michael, and thanks for the thorough response. I think your title captures my concern exactly. I have a tendency to think that scholars (and lay people generally) read way too much into the Old Testament stories (typology, etc.) than is necessary and wondered to what extent that concern also applied to Jesus non-speech acts. I was likewise stunned by the similarity in the scroll you pointed out. All of these acts are under the common theme of a Jewish hope that God would, through his anointed one, one day make all things right, straight, healed, and good. Also remarkable is the passage from Matt. 11. John seems to be asking the same exact question I have. The key point is what caused John to ask the question: Jesus DEEDS, not his words. That is huge. The messiah wouldn't prove his worth (anointedness) by apologetics. Deeds were what the Jews would recognize and so deeds it was. Since the days of Isaiah the messiah was defined by his deeds. So that raises the question of why point #3 of the Davies/Allison highlights is true, i.e. why wouldn't we have expected the same proofs from the early church as from the Jews? Here's one thing that just struck me. Didn't John ask this question chronologically after he had baptized Jesus? If so, why didn't the whole "This is my beloved son" quote direct from the mouth of God not convince him of Jesus messiahship? Could John not hear the Father's pronouncement, or did he just not conflate the term "anointed one" with the term "beloved son" the way we might today? I'm basically addressing point #2 in the Davies/Allison highlights. By way of personal info, I don't take a radically skeptical view so I'm not too concerned with trying to pick and choose what was authentic vs. what was added. I think it's good to be critical, but there's only so much we can know from the final "redacted" product, so I avoid speculation. Nonetheless I think Davies and Allison raise the important questions above and would be interested to hear your response. Of course scholars are needed for research and development of doctrine. But sincerely, for my part, I am tired of the "Scholars say" or "Scholars now know". Scholars are not the Magisterium of the Church and they hold no privilege over the Holy Spirit. I take the word of the Church over the intepretation of Scholars about our Lord's miracles. All said with respect, since you are also scholars. Unfortunately many an unorthodox scholar today suffer an unsufferable hubris. Not being a scripture scholar I am forced to look at this question in a much more pragmatic way. The way I see the question playing out has more to do with the Christology of the individual. Sacred Scripture is batted around between those who look at it as historical literature and those who see it not just as Dei Verbum suggests as “the inspired word of God” but as the finger of God crossing the page. Some of the faithful will see the miracle stories as being the true record of historical events – how could they not be; especially if they are recorded in all three of the synoptics? 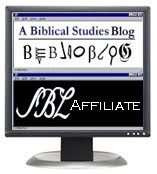 Others with a more rational and less mystic faith will see them as strictly symbolic. These same rational minds also look at the Eucharist as symbolic rather than sacramental transubstantiation. The goal of the homilist is to take the critical examinations offered by scholars and find the language that will convey the mystic to those who are rational and the practical to those whose Christology is so high that they feel unworthy to participate in the word. I feel a bit over my head here but that is my first reaction to the question. RE: Alex: "basically addressing point #2 in the Davies/Allison highlights." This passage had long bedevilled me until I heard a homily several years ago. (Matthew 11) "Now John in his prison had heard what Christ was doing and sent his disciples to ask him, 'Are you the one who is to come or have we got to wait for someone else?' Jesus answered, 'Go back and tell John what you hear and see ...'"
1) Of course Jesus knew John. Matthew tells us in the same gospel, chapter 3: "John tried to dissuade him (Jesus), 'It is I who need Baptism from you'" Then John was able to witness the trinity when Jesus was baptized. 2) Jesus knew John's disciples were precisely that: John's disciples. Jesus had been preaching and healing at the same time John's disciples were preaching the coming Messiah. John, aware of his pending death, knew that the allegiance of the disciples needed to be transferred to Jesus. He sends them to Jesus to ask if he is the one. Jesus answers in the affirmative telling them that the blind see, the lame walk ... More to the point, it is clear Jesus preaches and performs miracles in front of John's disciples for he says, "Go back and tell John what YOU hear and see." John has sent them to witness firsthand the miracles of Jesus and hear his words so they can commence transferring allegiance. 3) And, later in Matthew's gospel can be found, "John's disciples came and took the body (of John the Baptist) and buried it; then they went off to tell Jesus."